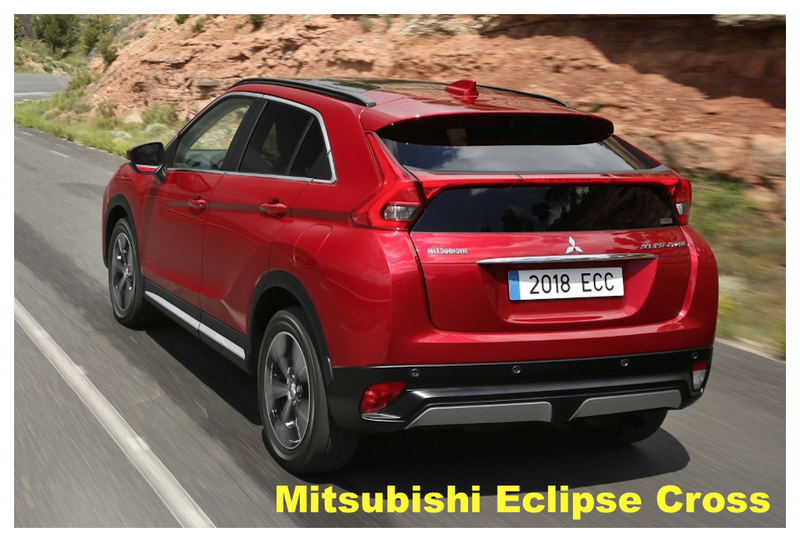 Mitsubishi Eclipse Cross – a model name mash-up combining Mitsu’s beloved sports car and… what? Subaru’s Crosstrek? Honda’s Crosstour? Buick’s LaCrosse? At any rate, all my rantings about every crossover/SUV out there looking alike seems like it has finally paid off. Lol. From the rear looks like the offspring of a second-gen Toyota Prius and a Pontiac Aztek. Ouch. 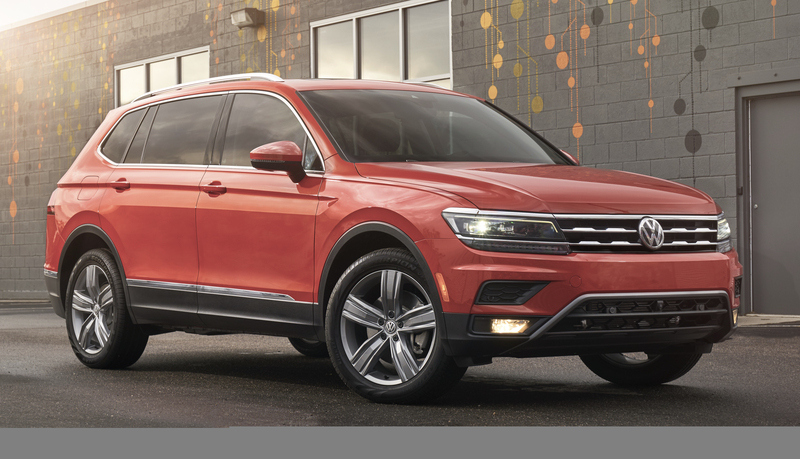 Volkswagen Tiguan – (top of page) VW is going all-in on the crossover/SUV market. 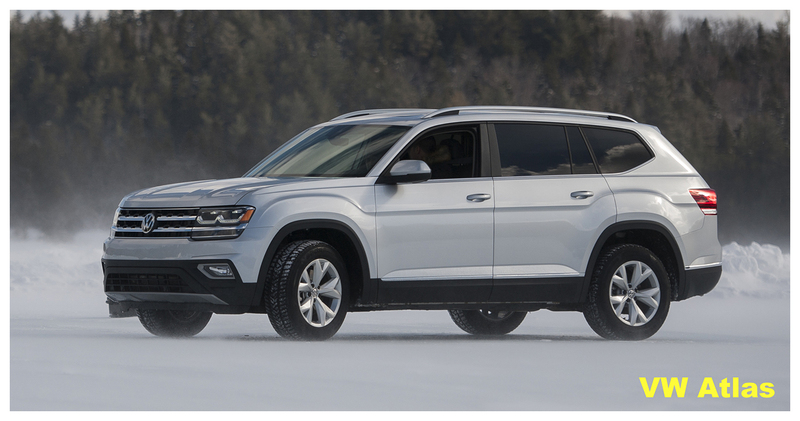 Besides the all-new Atlas (see below), the Tiguan is also all-new… and bigger, growing over 10 inches in length from the previous model. Which means that VW has decided there’s room for a third row of seating, unusual (but not unheard of) in the compact crossover class. Still looks unmistakably VW from any angle. Volkswagen Atlas – introduced a short while back, the Atlas is Wolfsburg’s entry into the full-size, seven-passenger SUV market. Which means it’ll probably be easier to get into the Atlas’s third row than the Tiguan’s. Like the Tiguan, available in front- or all-wheel-drive. 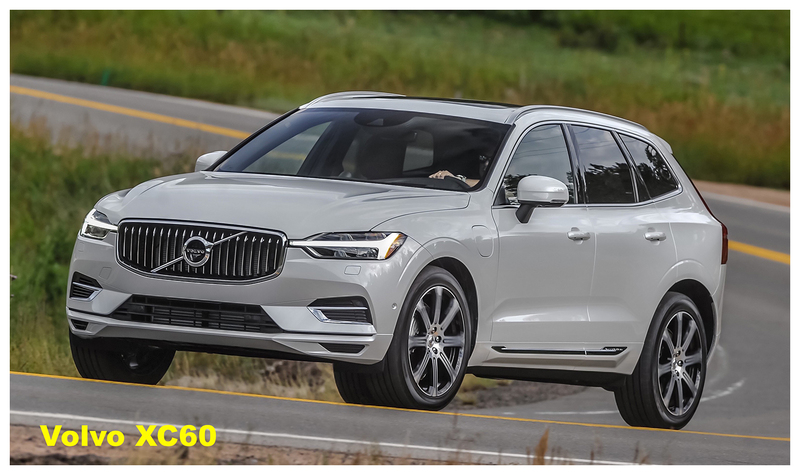 Volvo XC60 – another crossover which is experiencing growing pains, the XC60 has a wheelbase which is longer by three-and-a-half inches; but its overall length has grown only by just under two inches. Which means more room in the back seat. It’s also a tad wider. Showing its V90 lineage, the new XC60 looks less like a ski boot than its predecessor. 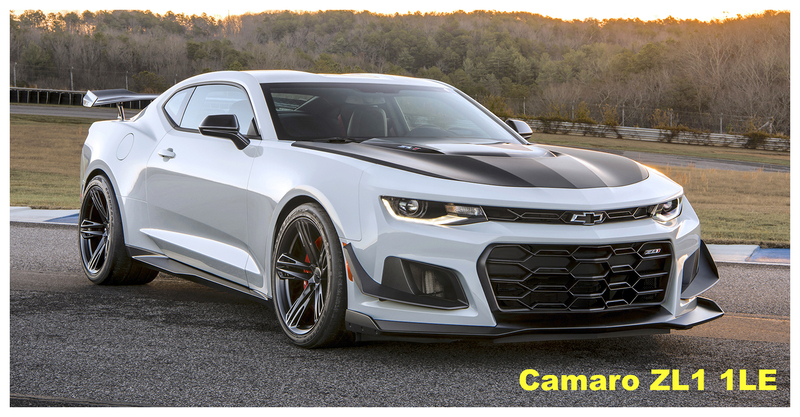 Chevy Camaro ZL1 1LE – the name’s a mouthful, but all you need to remember are a bunch of numbers: 650 hp, 3.5-second zero-to-60 time, 20 mpg hwy, and $71,295 MSRP. 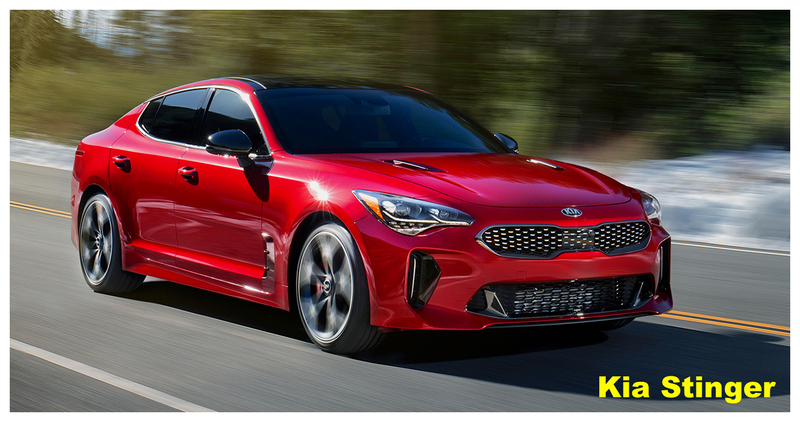 Kia Stinger – maybe not pricey by everyone’s standards, it’s pricey for a Kia. At least, we think it is, as prices haven’t been officially announced yet (some scribes figure it might top out just under 50Gs). The Stinger is a four-door hatchback which the Korean manufacturer is marketing as a grand touring sports car. It certainly looks the part, and it comes in rear- or all-wheel-drive, which takes it right out of the FWD family-car category and moves it into — dare we say it? — BMW territory. Porsche GT2 RS – okay, this one is pricey in everyone’s book — you know it’s gotta be when one of the items on the option list (the Weissach package) costs $31,000. 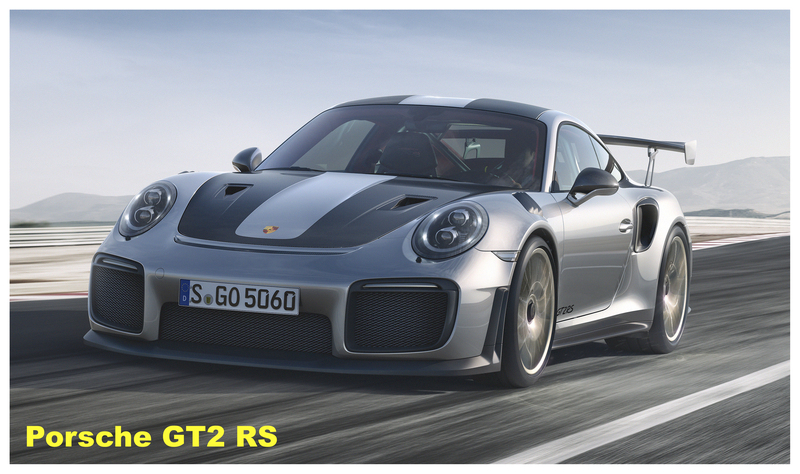 The GT2 RS packs 700 hp over the rear wheels, and will get you from zero-to-60 in 2.7 seconds. That’s quicker than it takes to type out the car’s base MSRP in longhand: two-hundred-ninety-three thousand, two-hundred dollars. Plus delivery!